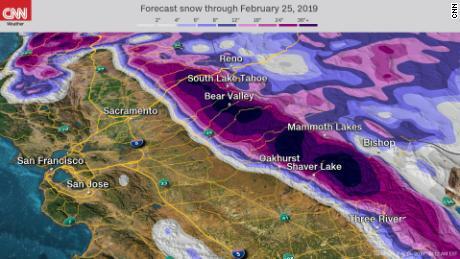 The atmospheric rivers that are dumping rain along coastal California are also massive amounts of snow in the state's Sierra Nevada. 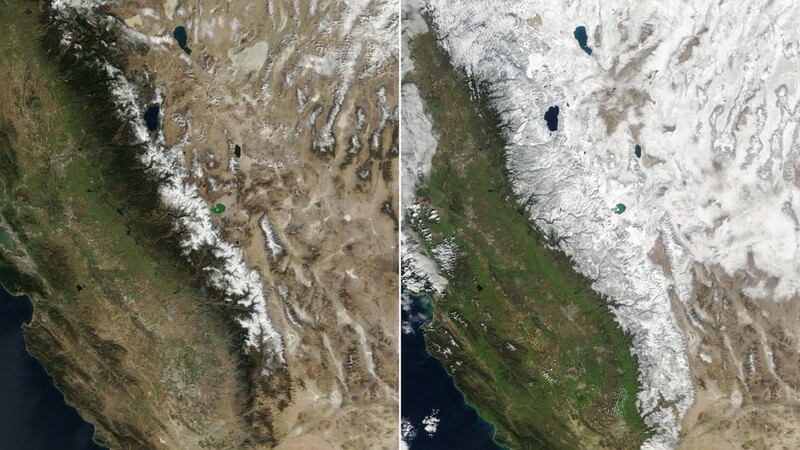 Newly released photos from NASA, taken four days and a year apart, show how much snow has fallen. In its news release, NASA singled out Mammoth Mountain, which is now the snowiest ski resort in the United States, having received more than 37 feet since winter began. On its website, Mammoth Mountain says that snowfall will allow the resort to stay open until the Fourth of July. 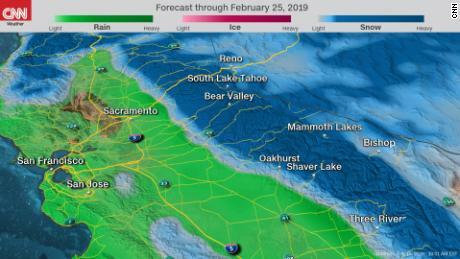 "California usually receives the majority of precipitation in December, January and February, and these storms have continued to add to our The California Department of Water Resource spokesman Chris Orrock told CNN. "Increasing the snowpack during this law, cold months is very important." The department is cautiously optimistic about the current amount of snowpack, Orrock said. The snow and rain in California won't let up anytime soon, enten. More storms are set to dump even more precipitation. The water is a godsend for the state, which has experienced a prolonged and dangerous drought in recent years. Things were so bad the groundwater basins became depleted and some localities instituted water restrictions. The atmospheric rivers – which are long, narrow regions in the atmosphere that transport columns of water vapor – have helped pull the state out of drought and the snow is set to help ensure that California's water supplies are replenished. According to the DWR, when the Sierra Nevada snowpack melts in warmer months, it replenishes about 30% of California's water needs later in the year. Even though much of the state is out of drought, it will take time for the snowpack to replenish the groundwater basins. "That's why we need to continue making conservation a way of life in California," Orrock says.